HiArc M 400R: When quality and productivity matter.Professional welding power for industry. Simple and easy, with dual welding process MIG and MMA. •Ideal for long duration and high current welding applications. •Suitable for thick plate welding of heavy machinery. •Multi-function Selector Switch allows choice of MAG, manual welding and gouging. 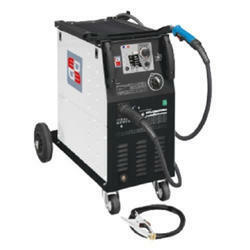 •Wide adjustable range of welding current. 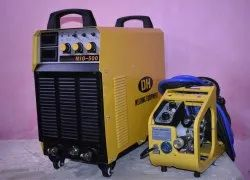 We deal in Single Phase Inverter MIG Welding Machine.